This morning I was having a closer look at some of our beautiful lapis lazuli pieces. 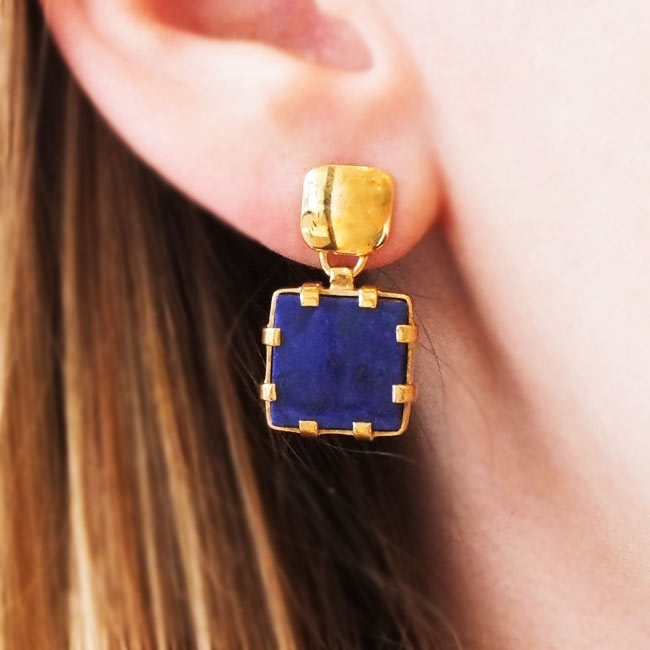 Lapis lazuli was once prized more highly than gold. Ground down into a pigment, artists of the renaissance used this most precious of blues to paint the robes of the Virgin Mary, hence the name, 'Sacred Blue'. The tiny inclusions, or gold specks you might see within the stone are in fact pyrite. This can often enhance the value of the stone as well as enhancing the deep blue colour. The lapis lazuli here in the shop is of the very highest quality and has been sourced from an Afghan family, traditionally Afghanistan is the home of the very finest lapis. 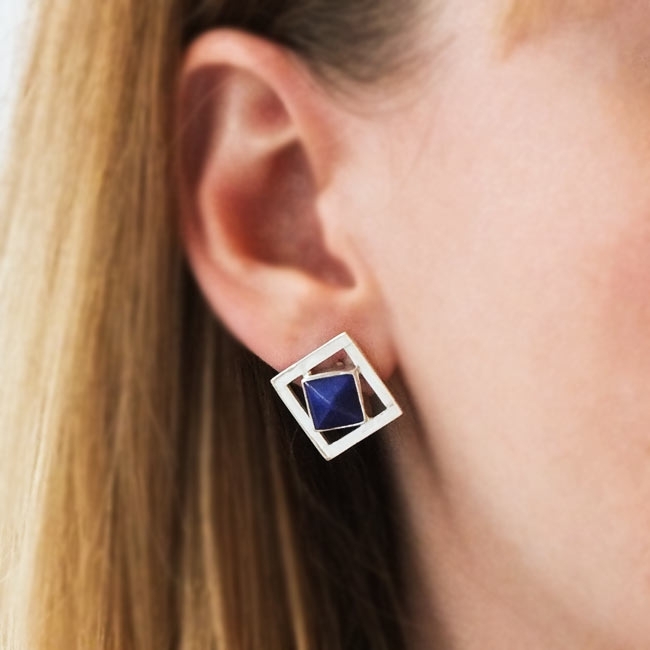 Pictured above, you can see just three of our many, many amazing pairs of lapis earrings. Again the silver setting shows off the intense colour to perfection. The good news is that as well as our lovely shop in Cowes, you can also visit our online store to purchase some of these beauties. 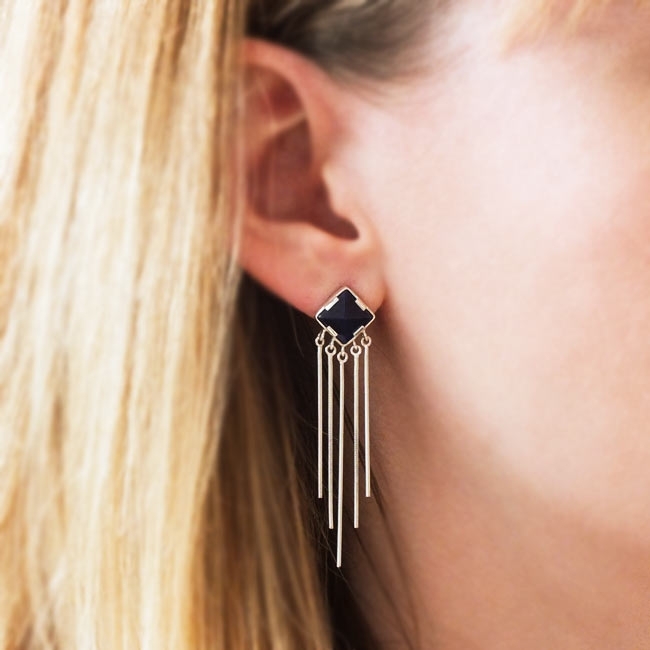 How about following us on Instagram to feast your eyes on our wonderful jewellery?